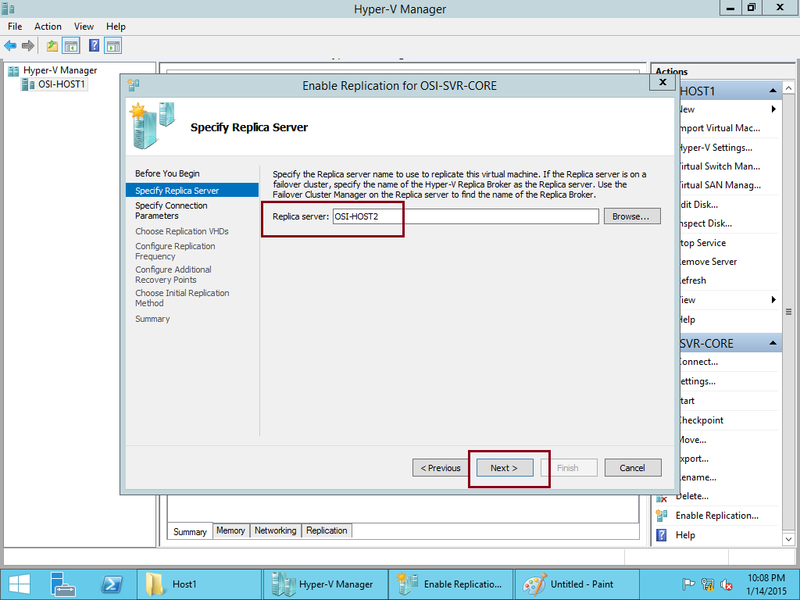 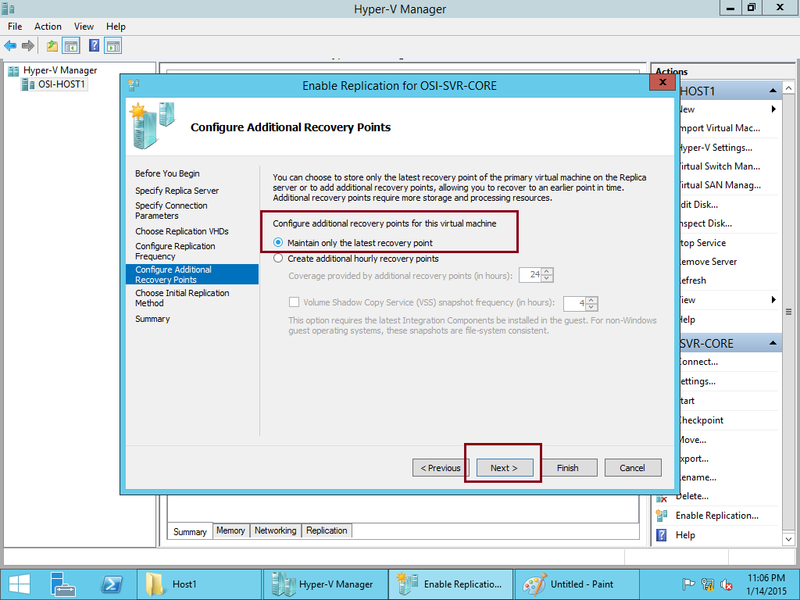 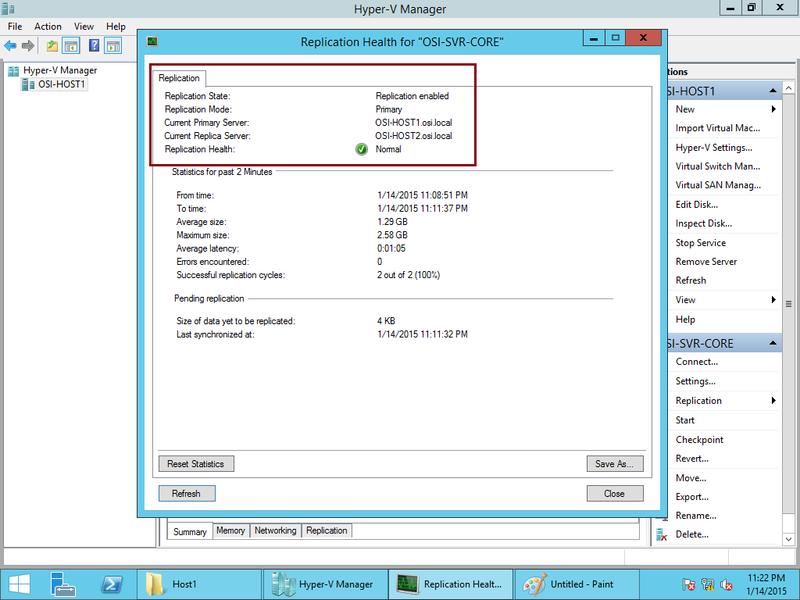 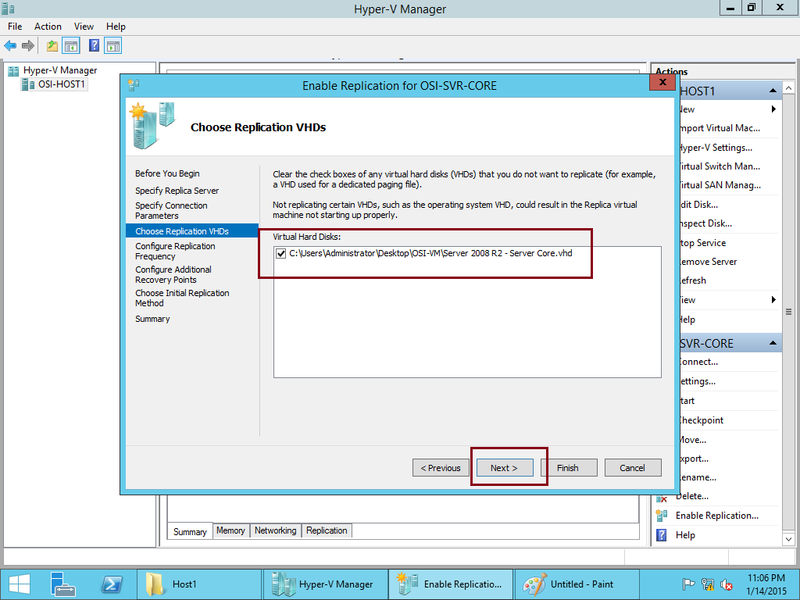 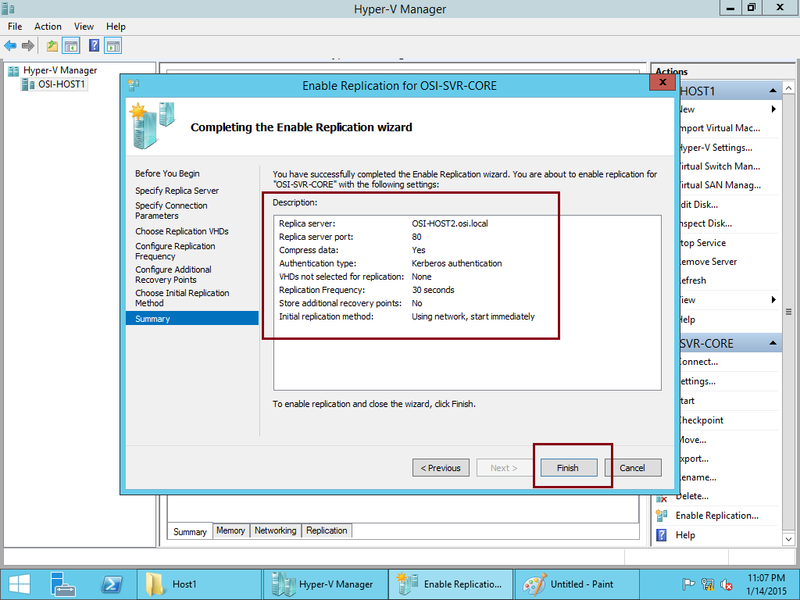 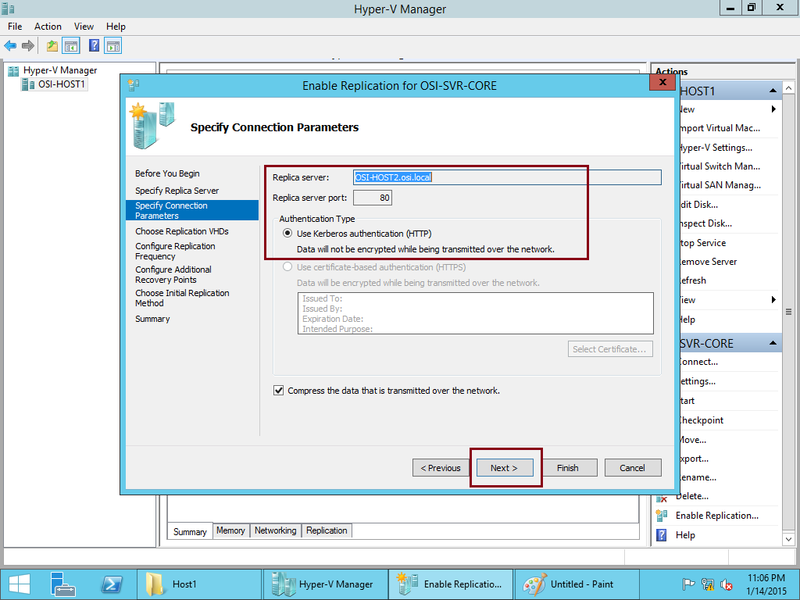 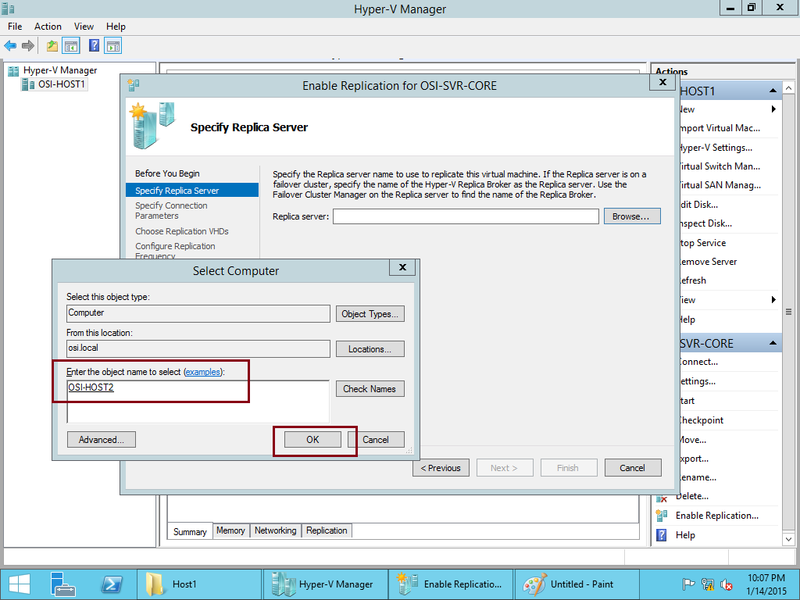 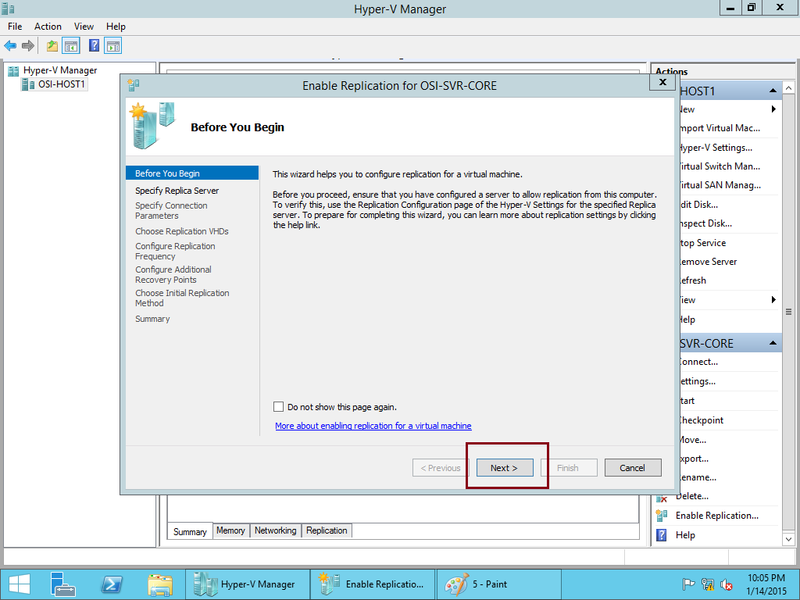 Simple Step : Configuring Hyper-V Replicas in Windows Server 2012 R2 | Just a random "Microsoft Server / Client Tech" info..
Hyper-V Replica. 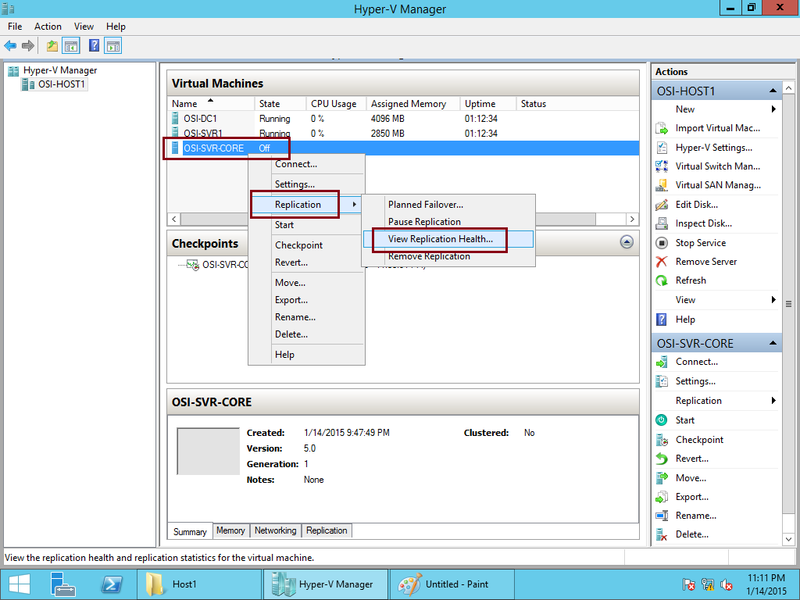 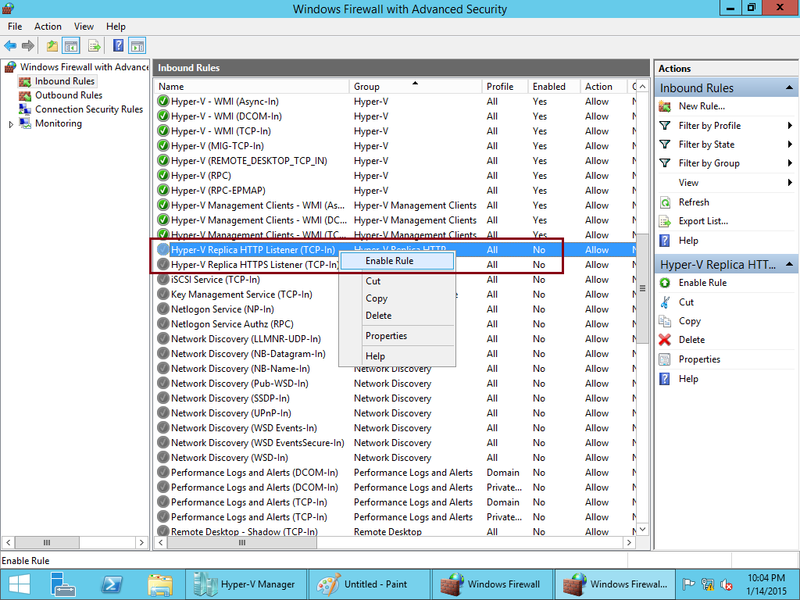 This new Windows Server 2012 feature enables you to replicate a virtual machine to another host or into the cloud, instead of moving the virtual machine, and to synchronize all virtual machine changes from the primary host to the host that holds the replica. 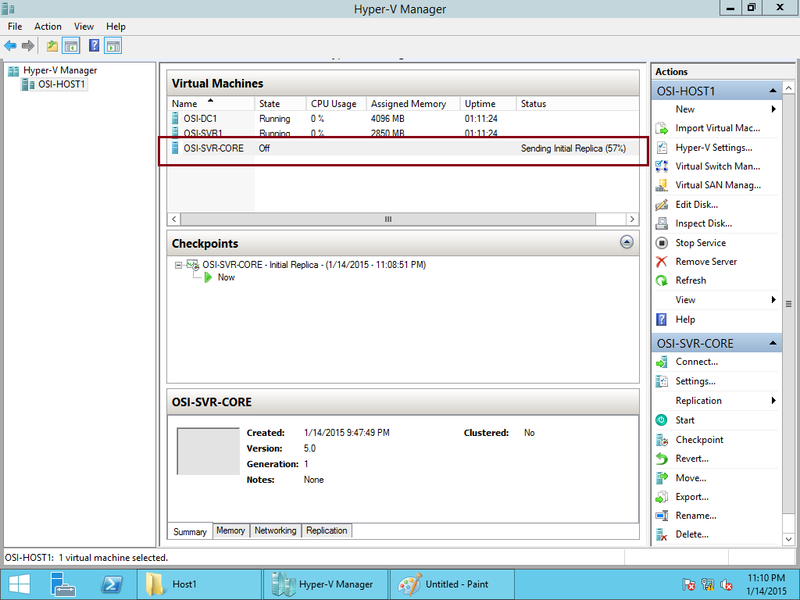 backups are performed periodically, you never have the exact same copy as the running virtual machine. 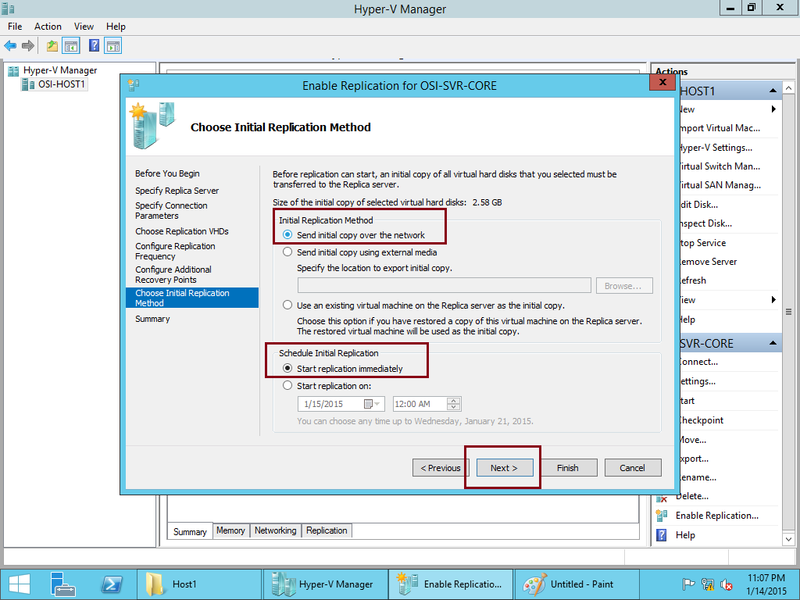 To complete this simple demo, make sure that you meet the requirement in your Test Lab Environment. 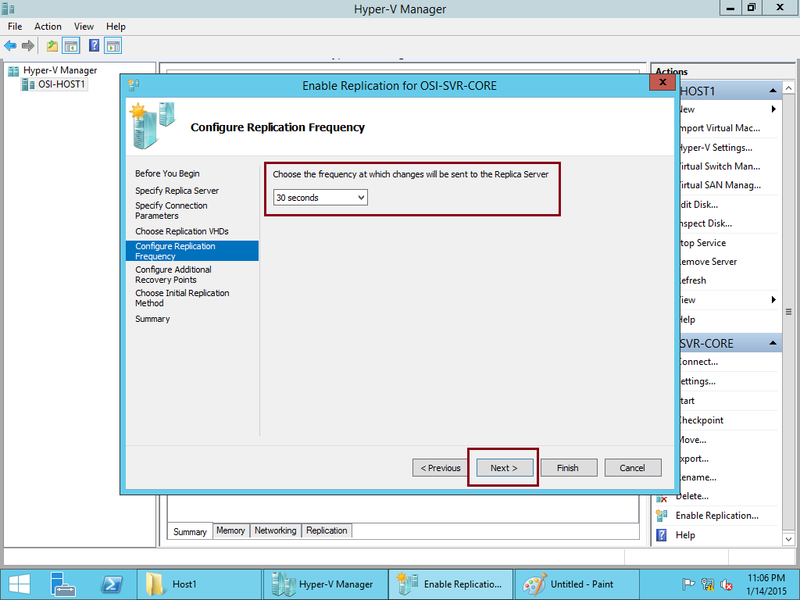 Make sure that you have 2 Physical machine to complete this simple demo, which is Host1 & Host2. 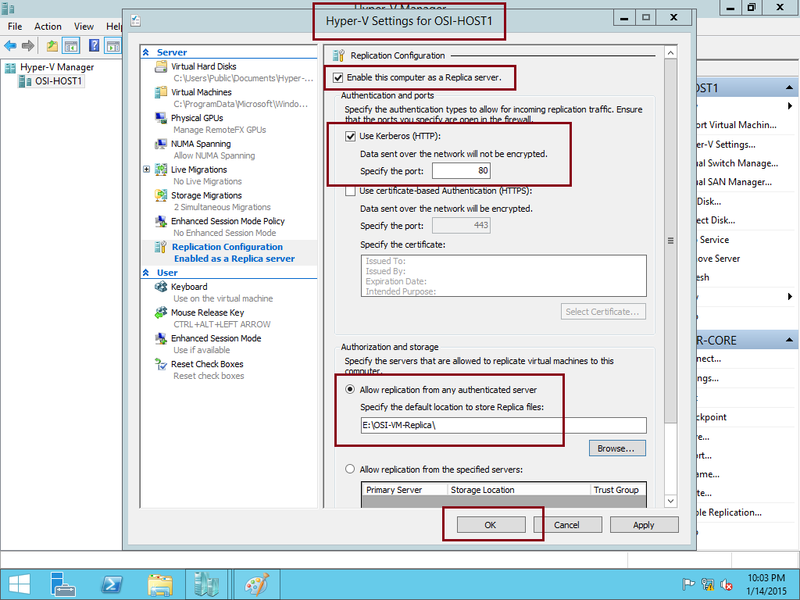 Verify also all Physical Host connected & join domain to DC1 server. 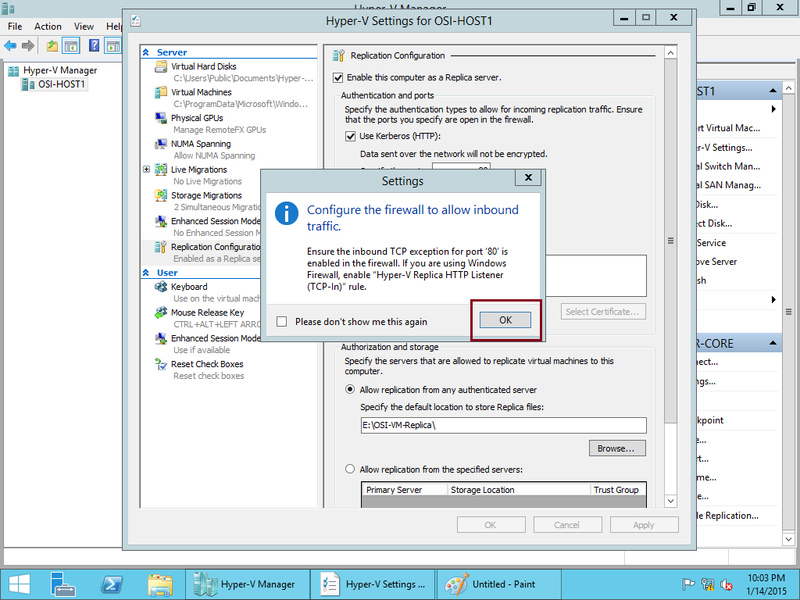 ** In the Authentication and ports section, select Use Kerberos (HTTP). 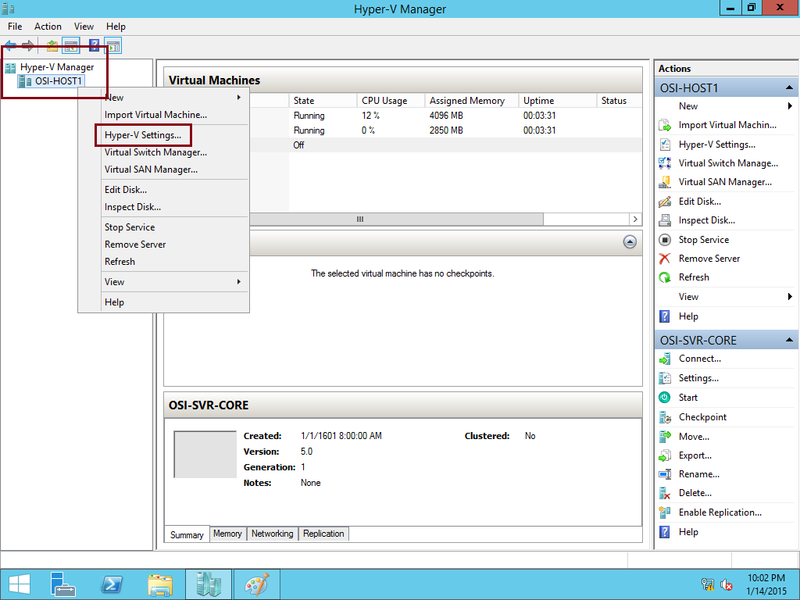 ** In the Authorization and storage section, point to E:\OSI-VM-Replica\ folder then click OK….